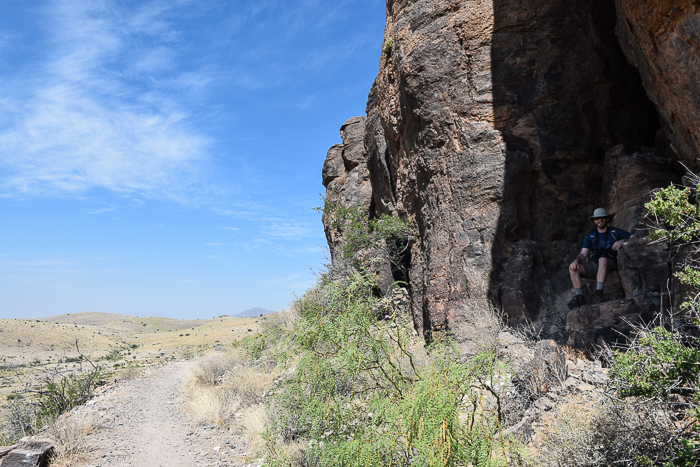 Even though it is so dry and the conditions are so tough, the desert in the American West somehow manages to be incredibly abundant and beautiful—especially in an area called the Chihuahuan Desert. This is where several parks you’ve probably heard of, like Big Bend National Park, are found, and its beauty is definitely worth seeing. If you want to experience this unique landscape and escape to a place truly remote, Davis Mountains State Park is a great home base. 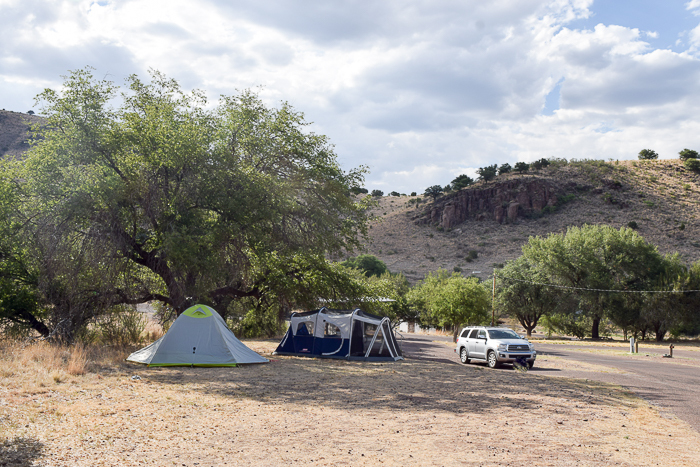 From here you can see West Texas’ most famous landmarks within an hour and a half drive (think Marfa, Big Bend, Alpine, Balmorhea Springs), and you can camp while having the comforts of the small, quaint town of Fort Davis just minutes away. 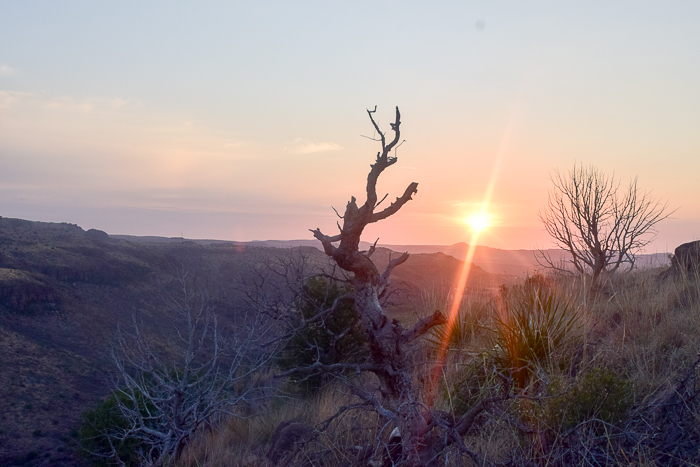 More guidance for planning your trip to West Texas can be found here: A Girl’s Guide to West Texas. 1. Book 6-8 months in advance. This is one of Texas’ more popular parks. See my guidance post, How to Make a Reservation at a State Park to see instructions for booking online or just visit http://texas.reserveworld.com/. 2. Get a campsite with shade. I left my flip flops in the sun one afternoon and by the end of the day the soles had melted off. 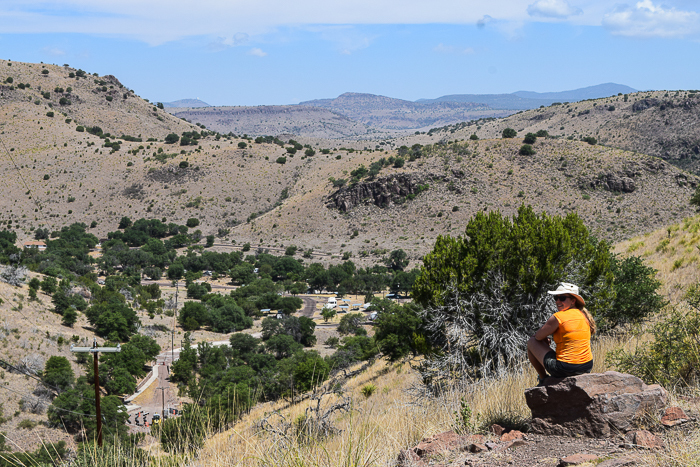 Even though Fort Davis is “the coolest place in Texas in July”, it can still get pretty hot in summer. 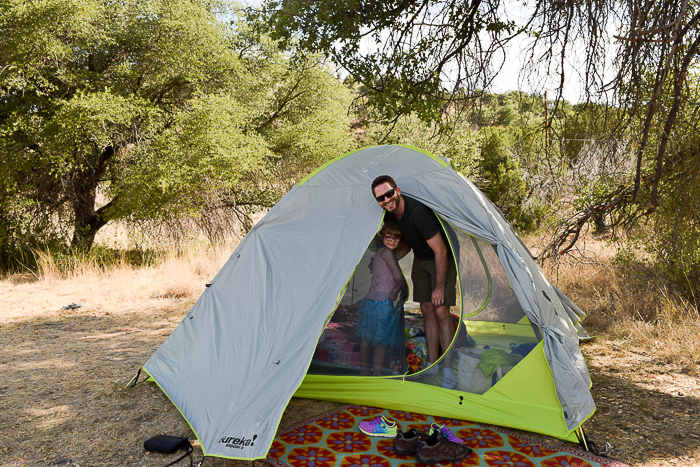 Request a camp site in the shade if you can, and still, plan to bring your own shade structure — like this one for $20 on Amazon. You will thank me later! We made the tragic mistake of eating SYRUP outside (quelle horreur!) and were completely swarmed within minutes. The bees know where the camp sites are and aren’t shy about getting after anything sweet on your table. Here are my tips for keeping bees away from your campsite. Keep your trash bag/can closed. Keep the trash away from your picnic table and tents. Do not eat maple syrup or honey outside. The soil is rocky and dry, and you will need a hammer to get your tent stakes in the ground. The wind in West Texas can be dramatic, so make sure your rain fly is clipped down and your tent stakes are secure in the ground. 6. 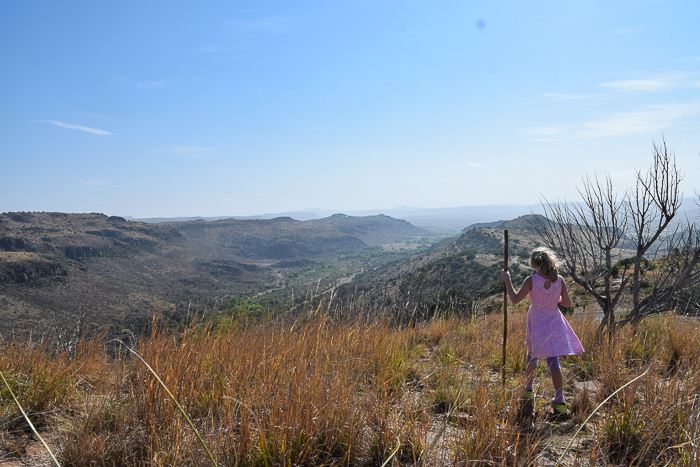 Hike The Most Scenic Trail in Davis Mountains State Park. My personal favorite trail in this park is the Skyline Drive Trail, it has incredible views all around and varied terrain so you never get bored. 7. Be sure to watch the sun rise from the scenic overlook. This is impossible to miss — just ask the ranger when you check in about the scenic overlook by Skyline Drive Trail and they will tell you. It is on the eastern end of the park. 8. 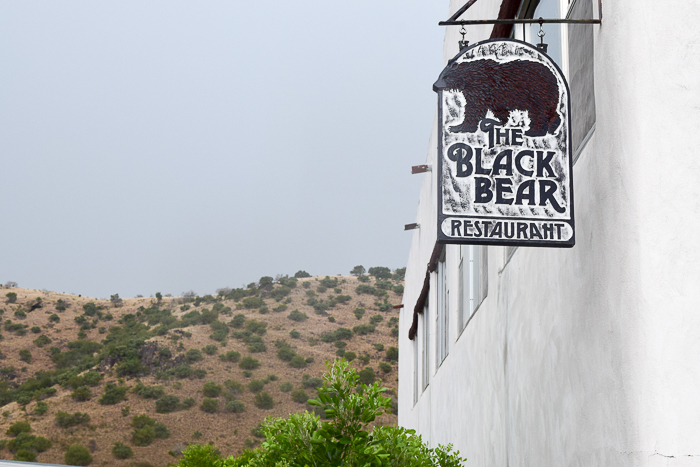 Plan to have a meal at the Black Bear Restaurant. This is at Indian Lodge, the iconic historic hotel on the property which was built by the CCC during the Great Depression. It is worth a stop. There is a buffet but you can also order off the menu. 9. Bring a yard game. This is a fun way to pass the time before dinner. 10. Allow several days for this trip. 11. Plan to make a trip into town. 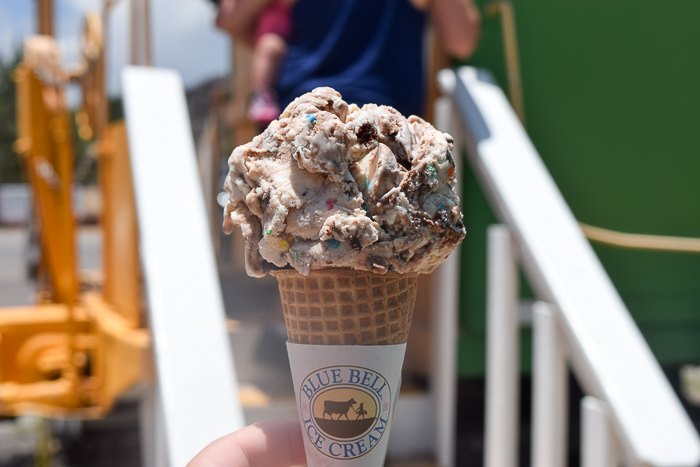 The town of Fort Davis is just ten minutes away, and has several cute stores and caboose turned ice cream shop that is pretty hard to beat! 12. Check out the interpretive center and attend a ranger show. This is a cool spot. Literally–it has air conditioning! There are also games, hula hoops, and learning exhibits to entertain kids. AND a bird watching station where kids can see the wildlife of West Texas up close. The calendar at the visitors center and here online will show what ranger shows are taking place while you are there. PS. The bathrooms are decent! The bathrooms at Davis Mountains State Park are pretty decent, actually. There are two large family size restrooms or there are men and women’s restrooms with stalls and showers. There is not ample counter space but there is a little ledge under the mirror where you can put your toiletries. There are hooks for your towels. The restrooms are kept very clean too, thank goodness! Hope you have a happy trip out west and be sure to tag #whitswilderness in your adventures. 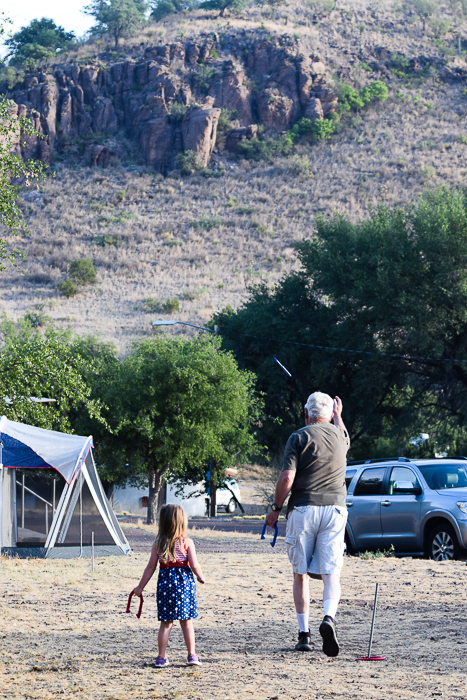 2 Replies to "12 Tips for Camping in Davis Mountains State Park"
I don’t think you could find a more comprehensive list of tips for camping in the Davis Mountain state park. This blog was really helpful to me when I was planning my own trip and I’m sure it will be just as helpful for anyone planning a trip there. Awesome blog with really helpful tips.